In a fairly unexpected twist in the Charlie Sheen Brooke Mueller debacle, it was announced today that Charlie Sheen has entered rehab. Here, courtesy of TMZ, is a rough timeline of today’s events. The rep says Charlie is checking into rehab as a “preventative measure,” though he did not elaborate. Charlie Sheen’s decision to enter rehab came abruptly today and he is not at the same facility as his wife, Brooke Mueller. We’re told there is deep concern that Charlie could have his bail revoked in Colorado — one of the terms is that he not consume drugs or alcohol. Charlie Sheen’s wife, Brooke Mueller, currently has the couple’s two children at the rehab facility she’s at … sources tell TMZ. Sources tell us Mueller’s rehab facility allows children, and Brooke’s kids are with her right now, along with the nannies and a counselor. Charlie Sheen will spend two weeks in rehab, sources tell TMZ. We’ve learned over the last week Charlie told people involved with “Two and a Half Men” that he was getting outpatient help for a problem, though he never specifically said drugs or alcohol. We’re told Charlie has informed the show’s producers he will be back in two weeks. “Two and a Half Men” is set to take a one week hiatus in two weeks, so Charlie would not be on the set for 3 weeks. We’re told there are 6 episodes left to tape for the season. And there’s this … Charlie’s deal is up at the end of the season. He’s renegotiating with Warner Bros. but the recent turn of events won’t help his negotiating position. Charlie Sheen voluntarily checked himself into rehab and there was “no one big thing that happened that made him go” — a very well-connected source tells TMZ. We’re told Charlie made the decision to go to rehab late this morning. The statement acknowledges production of “Two and a Half Men” is temporarily suspended. Charlie Sheen just arrived at a rehab facility in the L.A. County area … TMZ has learned. Sheen’s rep said earlier today the “Two and a Half Men” star was in rehab. But sources tell TMZ there were several delays, primarily because Sheen’s team wanted to make sure there were no legal ramifications resulting from Charlie’s move. Sources tell us Charlie had been “slipping” and that’s why he decided to go into rehab. I’ve said all along that there was more to this story than was being told. I didn’t trust Brook Mueller from the beginning and never thought she was some innocent party in the Sheen Christmas fiasco. 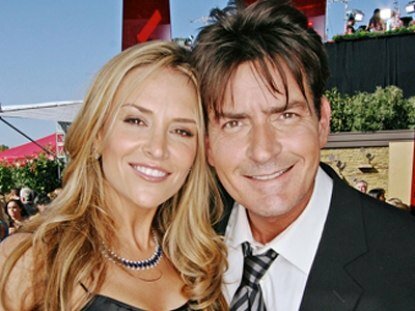 While I’m glad both Charlie Sheen and Brooke Mueller are seeking help for the problems that ail them, I’m not too optimistic that it will work. Maybe it’s just me. previous post: Tiger Woods Apology Video – Was It For Real Or For Show? 50 queries in 1.337 seconds.